The Centre has agreed for a tripartite meeting to discuss various political issues concerning the Gurkhas, including the demand for a separate State of Gorkhaland, Kalimpong legislator Sarita Rai said on Friday. The Home Ministry spokesperson did not comment. 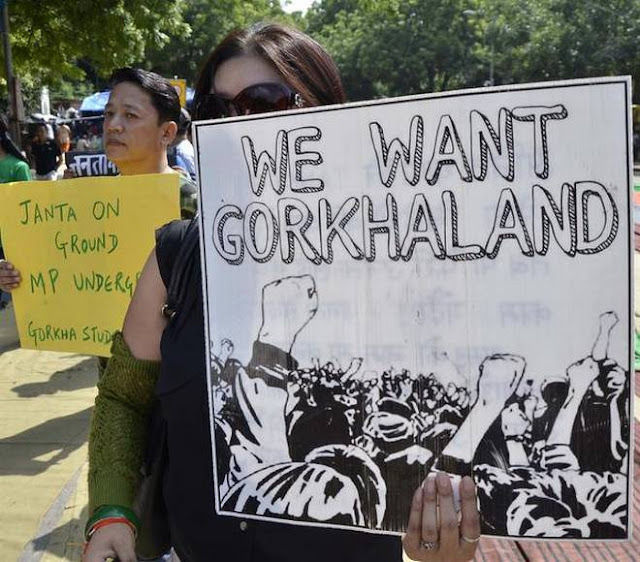 Large-scale violence was reported in Darjeeling in West Bengal and nearby areas controlled by the Gorkhaland Territorial Administration (GTA) in June last year, claiming the lives of 11 persons. Ms. Rai, who led the Gorkha Janmukti Morcha (GJM) delegation, said they met Union Home Secretary Rajiv Gauba who had assured them that the talks would be held by November after Durga Puja. None from the West Bengal government attended the meeting. “ We called off the strike last year after an appeal was made by Home Minister Rajnath Singh. From that time we were seeking tripartite talks. …it is a political issue,” she said. She said they had asked the Home Ministry to send a fact-finding team to survey the areas. “Around 5,000 youth face criminal action and are away from home. I don’t know if cases are fabricated. We have met the Chief Minister and raised that cases against political leaders should be withdrawn. It has not been done yet,” she said. The GJM is an ally of the BJP at the Centre and has been pushing for a separate State for the Nepali-speaking Gurkhas. The decades-old demand revived last year when Ms. Banerjee announced that Bengali would be made compulsory in schools. The Centre has agreed for a tripartite meeting to discuss various political issues concerning the Gurkhas, including the demand for a separate State of Gorkhaland, Kalimpong legislator Sarita Rai said on Friday.